Hands Up? Sure, But I’m Also Fighting Back! This week, I joined thousands in Washington, DC for the “Justice for All” rally and march organized by Rev. Al Sharpton’s National Action Network. With repeated chants of “Black Lives Matter”, “No Justice, No Peace, No Racist Police”, “I Can’t Breathe”, and “Hands Up, Don’t Shoot,” the multicultural and multi-generational show of unity was moving. The marchers, and others like it in New York and Boston gathered to decry the recent police killings of unarmed black men and boys, the non-indictment decisions of the Grand Juries in Ferguson, Mo. and New York City, and to call on Congress and the Justice Department to make requisite changes to the criminal justice system to ensure that there is indeed justice for all, not just for some. The rally and march were peaceful and purposeful, and yet watching the sea of humanity repeatedly hold their hands up in a sign of surrender started to rankle me. In my mind, something is wrong with a call to surrender, especially for this cause; especially now. 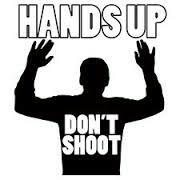 I don’t mean to diminish the importance of the “Hands Up” symbolism to the rolling national protest movement. Some witnesses to the Mike Brown shooting testified that his hands were raised to surrender when he was shot multiple times by Officer Darren Wilson in Ferguson after a brief struggle near Wilson’s squad car. (Others say Brown was charging the officer. We’ll never know the truth since the officer was never cross-examined during the Grand Jury proceedings.) The “Hands Up” mantra became a righteous symbol of the national protest movement against police brutality and biased criminal justice. Full disclosure here. My late father was a New York City police officer who rose to the ranks of detective during the 70s. Public servants like my dad put their lives in danger every day to serve and protect us. But as we’ve seen recently, not all police officers have the best interests of the public in mind. And when police officers have unconscious (and conscious) biases and can’t do their job objectively, their attitudes may have deadly consequences. And yet, while marching, I felt we’re past the time to surrender, even symbolically. 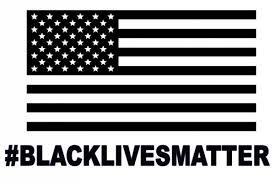 For this movement to have a long term impact, it’s time we fight back, not with retaliatory violence, but with action! Push Congress to remediate the “Ms. Education” of Black males in school. It’s time to demand that Black males (and females) get quality education in elementary, middle and high schools across the country. Did you know that only 62% of African American 9th graders graduate in four years? What happens to the 38% who don’t graduate right away? According to the Alliance for Excellent Education, high school dropouts are 3.5 times more likely to be arrested in their lifetime. Therefore, by increasing four-year high school graduation rates, we could lower the likelihood that our young boys and men will encounter the criminal justice system. Require that all schools have access to critical math and science courses. Part of the educational problem is structural. For example, did you know that nearly half of African American high school students don’t have the full complement of math and science courses (4 years each) in their schools? Such an enormous opportunity gap prevents a large segment of young people ineligible to attend their state flagship university, never mind elite private colleges and universities. We need to push Congress to require and fund body and dashboard cameras for law enforcement professionals to hold even the bad apples accountable for their actions. Let’s require police departments to surface and redress unconscious bias among their officers, while at the same time, weed out the bad apples before they even put on a badge. And let’s push the Justice Department to require special prosecutors to argue Grand Jury cases involving law enforcement personnel to minimize the reality, or even the perception of favoritism and bias. I’m thrilled to see the “Justice for All” marches and protests nationwide, sparked by our youth. But I’m done surrendering. 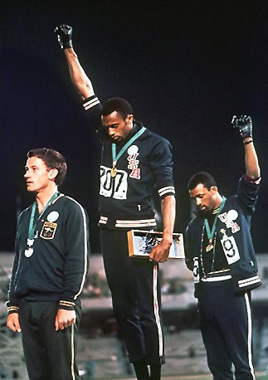 Like Tommy Smith and John Carlos’ salute during the 1968 Summer Olympics ceremony, I’ve decided to fight back too. STEM for All: Why is STEM Good for Everyone? Great piece Karl. Thank you for writing it. You’re welcome Alan! You’re on the front lines!